LA PLATA, Md.—Five Charles County Public Schools (CCPS) teachers recently achieved national certification from the National Board for Professional Teaching Standards (NBPTS). National Board Certified Teachers complete a rigorous assessment process to be eligible for the designation. Matthew Golonka, Juliana Herscher, Lynn Hopkins, Holly Walsh and Elaine Voltz join nearly 30 other school system teachers who completed the process to become nationally certified. The assessment measures what accomplished teachers know, and candidates must demonstrate how their instruction strengthens both student performance and achievement. Golonka is a health and physical education teacher at Theodore G. Davis Middle School. He earned National Board Certification in the area of physical education/early adolescence through young adulthood. Golonka works with students in sixth, seventh and eighth grades and has been teaching with CCPS for the past 14 years. He began his career at General Smallwood Middle School and transitioned to Davis in 2007. Golonka said he chose to pursue national certification to provide him with a greater impact on students. 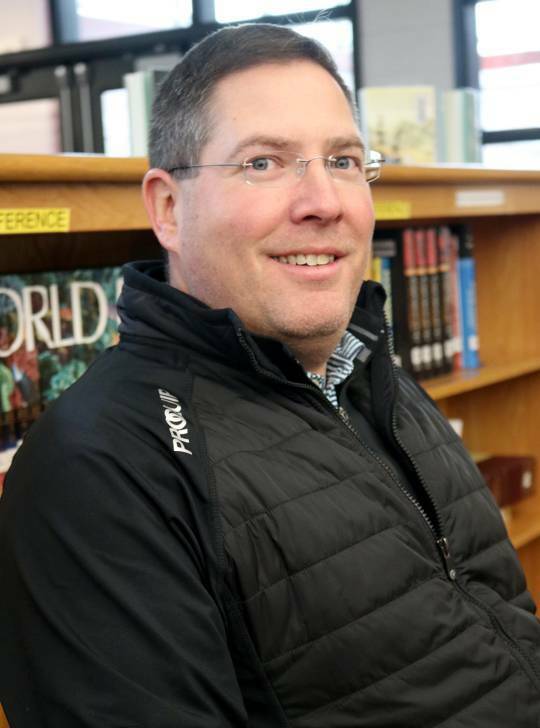 "I pursued certification to demonstrate my commitment to excellence, to become a better teacher and to have a greater positive impact on student learning," he said. Golonka said his most memorable teaching moments are when former students return to Davis to visit. "My favorite moments are when I run into past students, or when they return to visit, and they share with me the endeavors that they have been involved since promoting from middle school," Golonka said. Golonka helped to coordinate the grade recovery program at Davis, coaches the golf, volleyball, and track and field teams, and most enjoys the class units on floor hockey and badminton. Herscher is celebrating 20 years of teaching with CCPS and teaches first grade at T.C. Martin Elementary School. Herscher earned National Board Certification in the area of literacy: reading-language arts/early and middle childhood. She has also taught at Dr. Samuel A. Mudd and Malcolm elementary schools, and loves teaching first grade. "You see so much progress from the beginning to the end of the year in your students as readers and writers," she said. Herscher has her master's degree in reading education and said she pursued national certification to help her grow her practice. "As an educator I think it's important to continue to grow in order to improve your practice. I wanted to continue to improve my practice in and my students' learning of literacy. This is one of the highest levels of achievement for teachers," Herscher said. Throughout her career, Herscher said she has experienced humbling moments and most enjoys when former students recognize her and tell them how much she meant to them. "Making an impact on the lives of students is why I chose this career," Herscher added. Hopkins is a language arts teacher at Milton M. Somers Middle School where she has spent her entire 16-year career with the school system. She earned National Board Certification in the area of English language arts/early adolescence. Hopkins teaches sixth-grade language arts, but has also taught both seventh and eighth grades throughout her career. She said she pursued national certification so she could not only hone her teaching skills, but also to find strategies that best support her students. "I owe it to them to be the best teacher that I can be. They depend on me each and every day to do just that," Hopkins said. Last school year, Hopkins was named the 2018 CCPS Teacher of the Year. 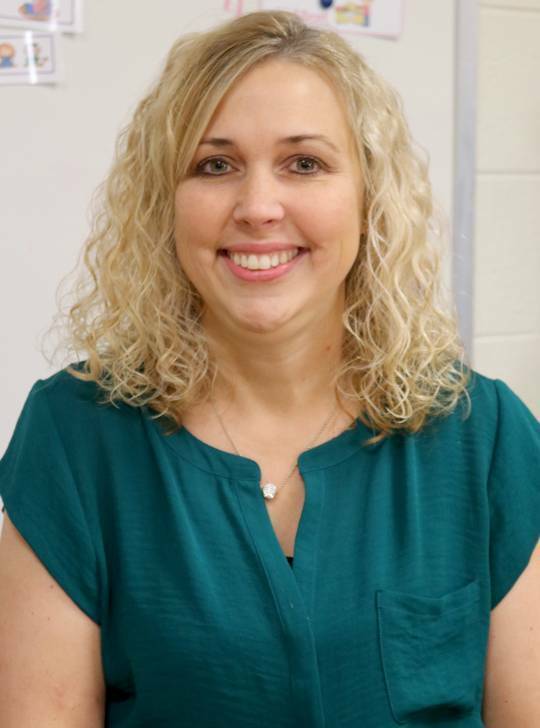 She said the process of becoming nationally certified is rewarding because it causes teachers to reflect on their teaching practices, and believes it helped her earn the teacher of the year honor. "The process certainly helped me refine my teaching practices in many ways these last few years, which I truly feel have contributed to my being chosen for the honor. Reflection is necessary for community building in the classroom, and ultimately, overall success of both teacher and student," she said. Voltz is a mathematics teacher at Mattawoman Middle School and earned National Board Certification in mathematics/early adolescence. 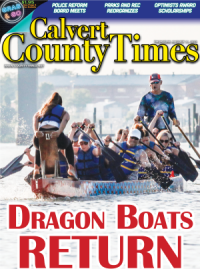 She has worked for CCPS for the past 10 years and teaches sixth-grade math. Voltz pursued national certification after a colleague who is certified encouraged her to apply. "He mentioned it was one of the best personal professional developments that you can do, and I couldn't agree more," she said. Voltz said the biggest challenge of the process for her was reflecting on her lessons and teaching practices. But she said she walked away from the process with stronger lesson plans and as a better teacher. Voltz loves being part of the Mattawoman teaching family and said the most rewarding aspect of teaching for her is hearing the success stories of former students. "I really enjoy having students come back after they graduate high school. Staying in one place allows me to keep in touch with former students and their families, and I can hear about their successes. This is the most rewarding aspect of teaching to me," she said. 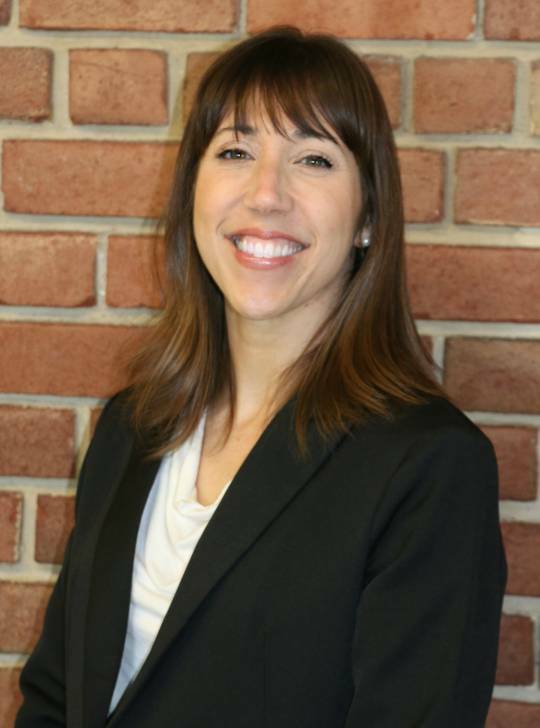 Walsh is a language arts teacher at Benjamin Stoddert Middle School and earned National Board Certification in the area of literacy: reading-language arts/early and middle childhood. 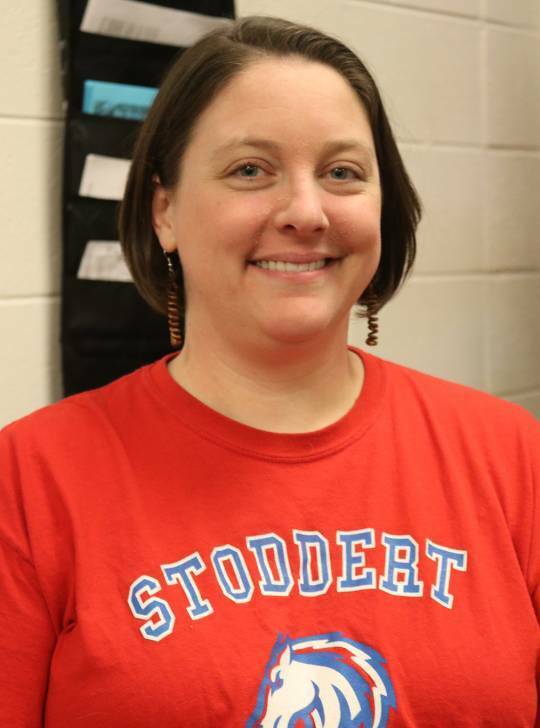 Walsh has been teaching at Stoddert for the past four years and teaches both sixth- and seventh-grade reading. 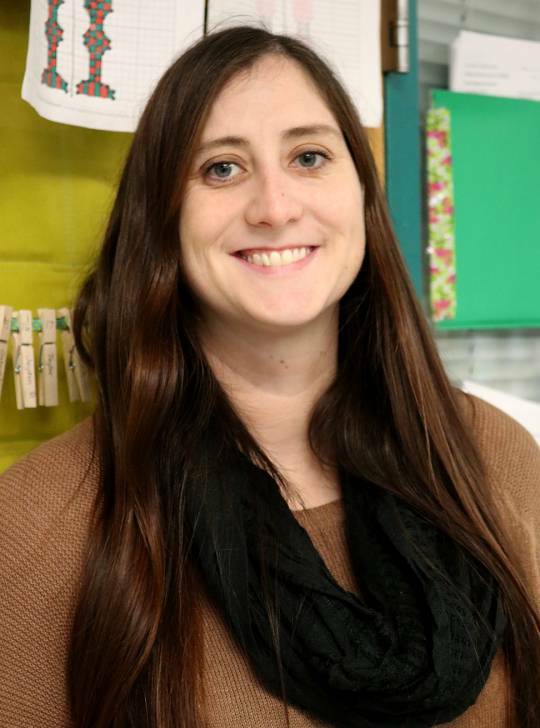 Prior to joining the teaching team at Stoddert, Walsh taught early childhood at Mt. Hope/Nanjemoy Elementary School for eight years. She said she pursued national certification to challenge herself with additional learning. "The hardest part of the process was the writing. I have never been a great writer and the extensive amount of quality writing needed was difficult. However, I feel like I have come out a better writer and an all-around better teacher," Walsh said. For Walsh, her desire to teach comes down to the relationships she builds with her students. One of her main priorities in the classroom is getting to know each of her students, and watching them succeed as they advance through school. She said she has two students who made an impact on her that she will always remember. "One I taught in kindergarten and is now a freshman with so much confidence and self-control. The other I met my first year at Stoddert. He would make me smile every day. Both of these students remind me that I am not just here to teach content, I am here to build relationships," Walsh said. National Board Certified Teachers must complete a review of their skills and work, which includes a portfolio, student work samples, videos and a thorough analysis of their classroom teaching and student learning. Teachers also complete a series of written exercises that probe the depth of their subject-matter knowledge and their understanding of how to teach that material to students. 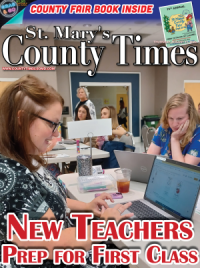 The five CCPS teachers join more than 5,000 nationwide teachers who completed the certification process in 2018. Certification is valid for 10 years after which a teacher may complete the renewal process. Maryland has more than 3,000 nationally certified teachers and is one of the top 15 states with the highest participation in the certification process. By achieving National Board Certification, CCPS teachers are eligible for a stipend as long as they maintain their certification status. Information about the application process is posted online at www.nbpts.org/.